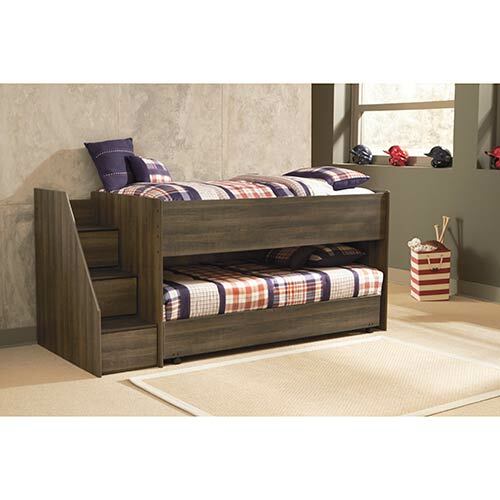 Warm and rustic, this loft trundle bed offers extra space for sleepovers and storage for toys, books and more. 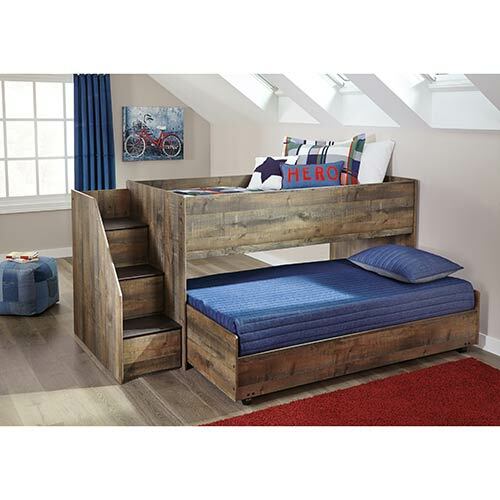 With one twin-size and one full-size mattress included this bunk bed has everything you need to create a fun, artistic kids' bedroom. 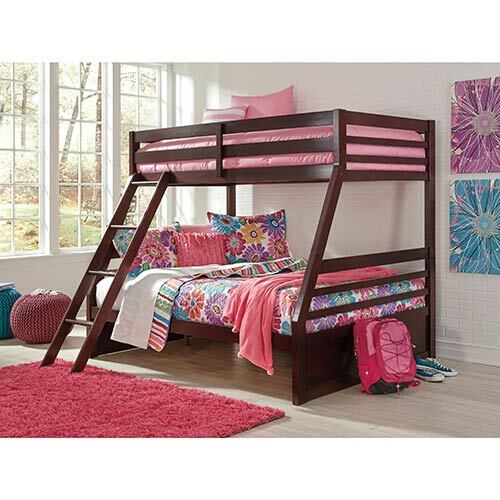 With two twin mattresses included, this bunk bed has everything you need to create a fun, artistic kids' bedroom. 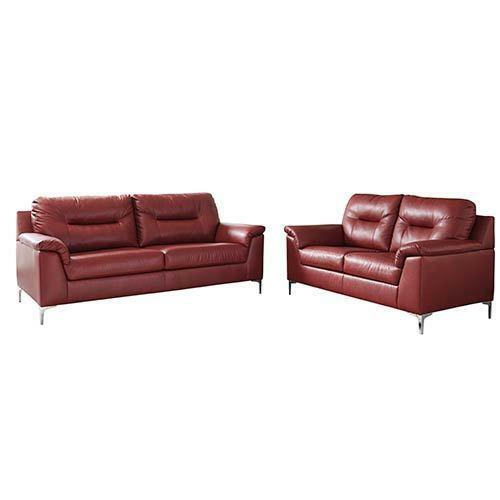 Save space and make bedtime more fun with this classic and durable twin over twin bunk bed. 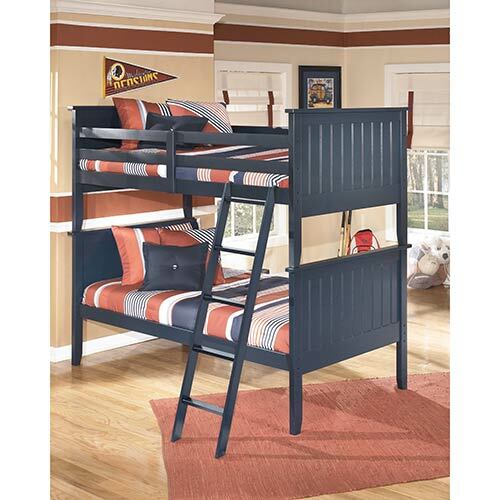 With a comfy, inviting design and the ability to separate, this twin bunk bed set is functional and fun. 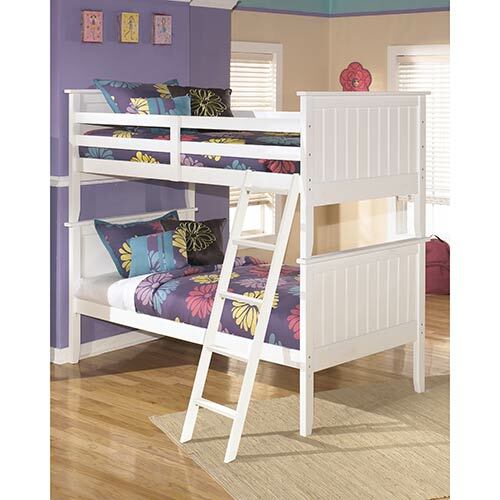 With a light, airy style and the ability to separate, this twin bunk bed set is functional and fun. 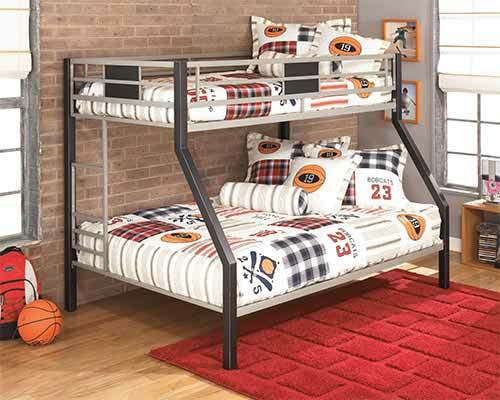 Save space and make bedtime more fun with this classic and durable twin over full bunk bed. 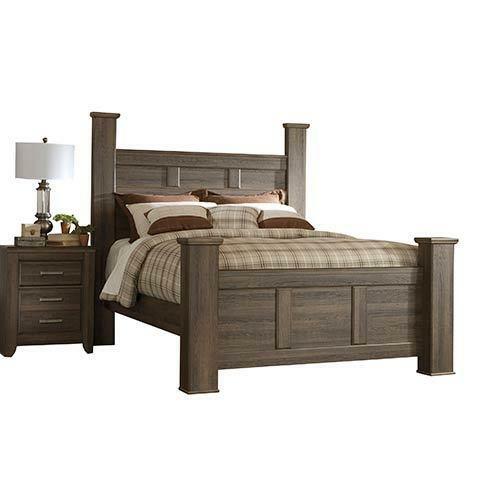 Customizable color panels on the lattice accents let you make this sweet twin bed your own. 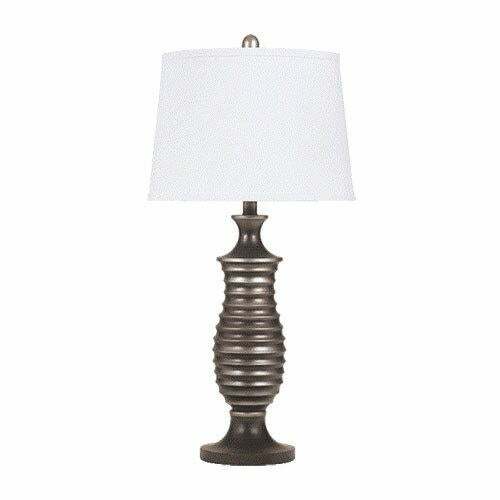 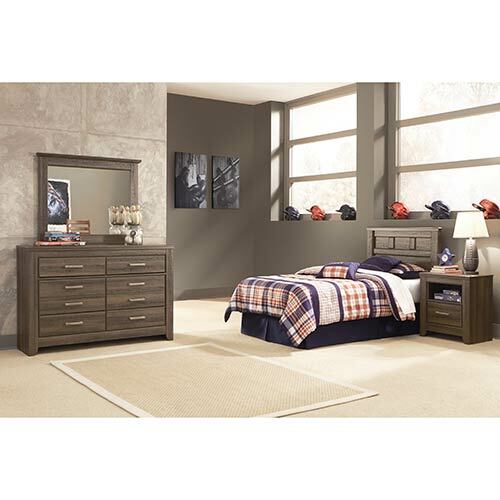 Create a casual and inviting space for your child with the vintage inspired design of this bedroom set. 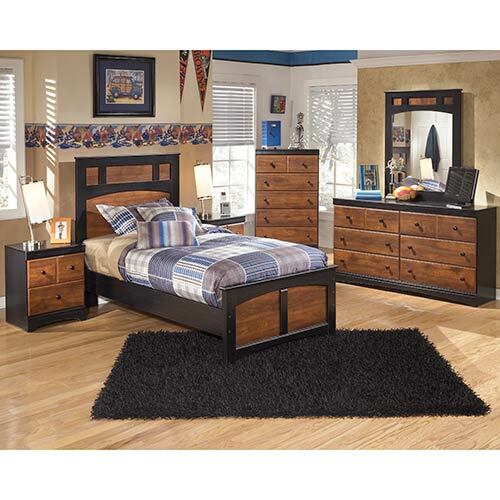 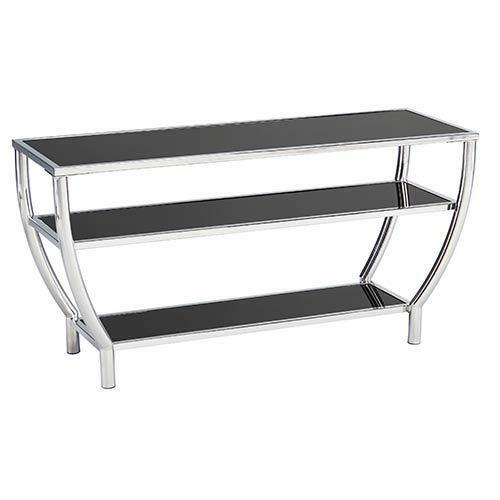 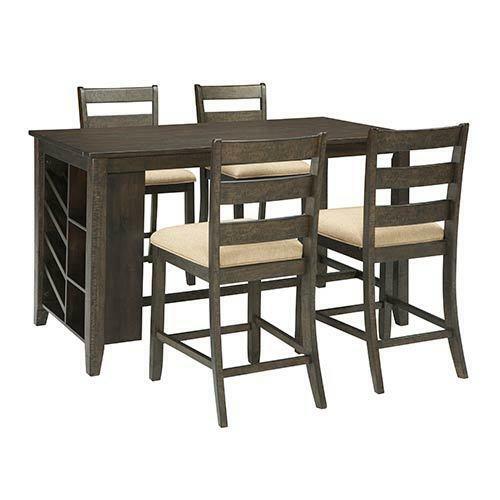 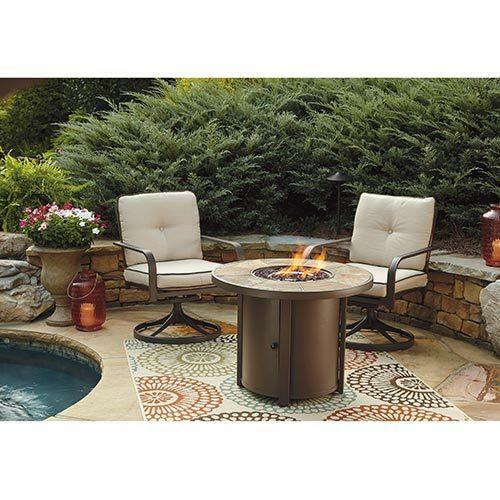 Boasting a cool, two-tone design, this bedroom set creates a comfy place for your child to relax. 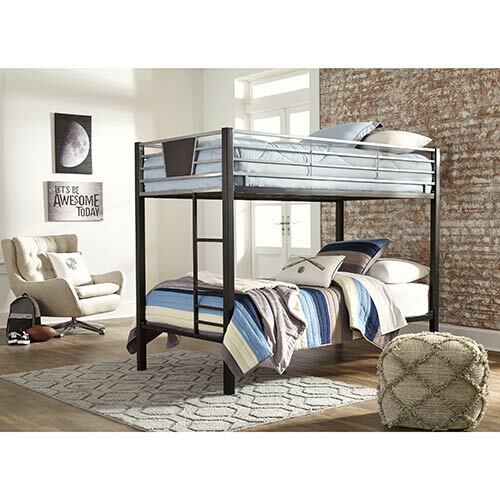 From siblings to sleepovers, this twin loft bed is the perfect space saving solution. 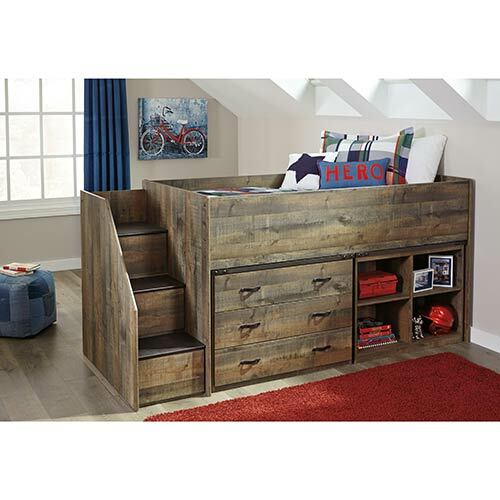 Warm and rustic, this twin loft bed offers tons of extra storage space for toys, books and more.